Third Place in Euroquiz 2017! 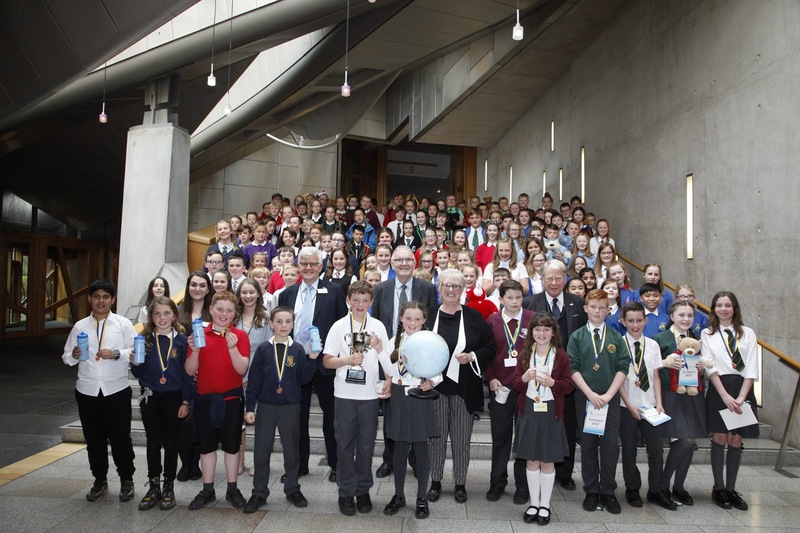 Thrilled and delighted for P6 pupils James, Alice, Hamza and Ali to achieve Third Place representing City of Edinburgh in this year’s national Euroquiz event held at the Scottish Parliament on Monday 15th May, competing against teams from 31 local authorities. A tremendous reward for all their hard work and for the terrific support and encouragement of their families and teachers. Third Place, representing City of Edinburgh, for Ali, Hamza, Alice and James! Thank you Euro Mums! … and Dads and Grandparents and siblings and all who supported! Participation in the competition throughout this year has truly motivated our children to develop a broad and deep knowledge and understanding of the geography, culture and languages of the European Union, as well as a love of learning, taking on a great deal of study at home in their own time. A tour of the Parliament in the morning helped set the tone and settle the children for the very challenging quiz questions facing them in the afternoon. 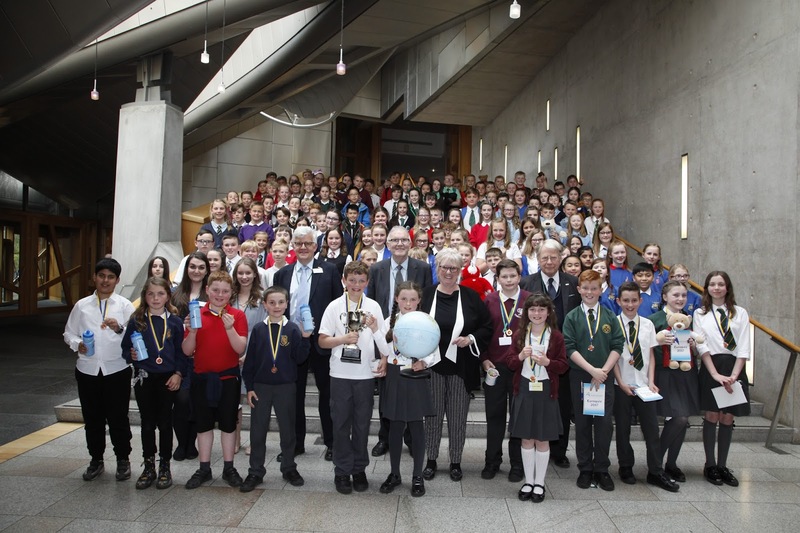 The Euroquiz Final was superbly organised by SEET, with Languages input from SCILT, in prestigious surrounds and we are grateful to the European Commission for sponsoring a truly memorable occasion for all the children involved. 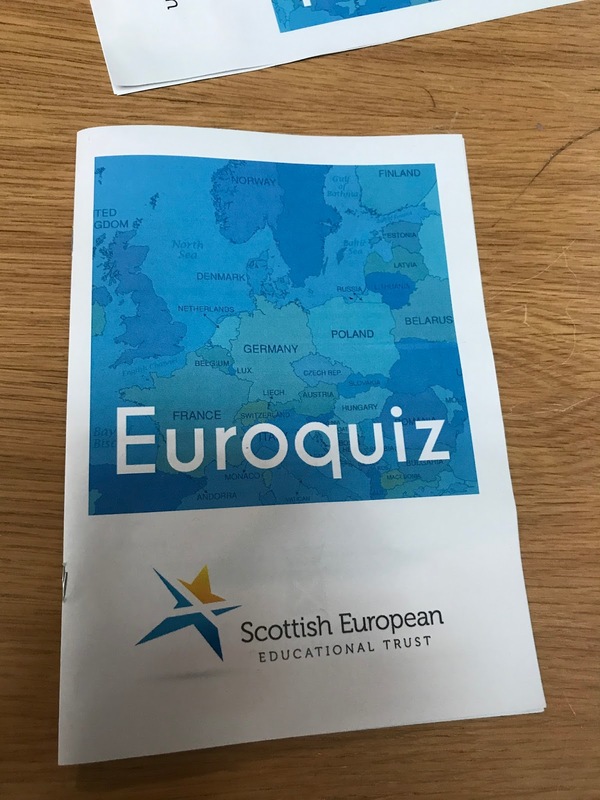 The European Commission also provides a wealth of resources used in school to support an annual study of Europe in each of our three P6 classes. 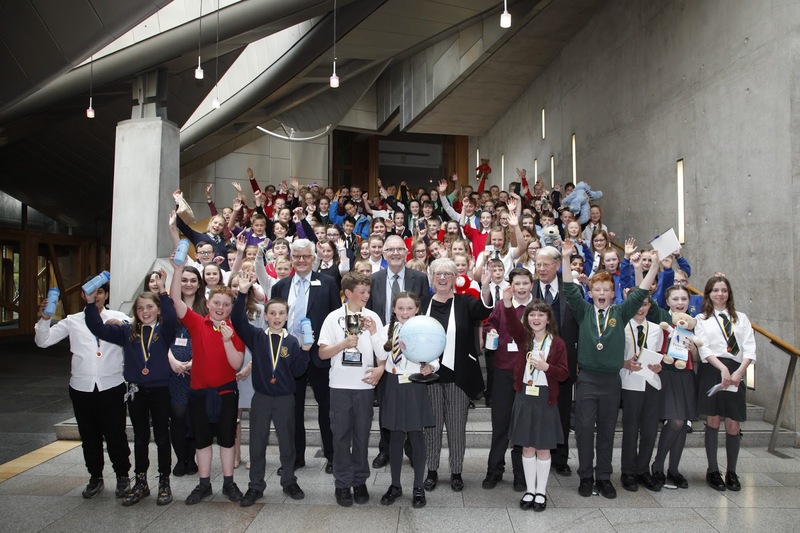 Well done to all the schools who took part from all stretches of the country and congratulations to Runners Up St Leonard’s Primary (East Kilbride) and Winners Comely Park Primary (Falkirk). Many thanks to Jane Byers of SEET for arranging participation and to all the parents who came along to lend support on the day. Thank you to Parliament’s Official Photographer, Andrew Cowan, for graciously giving permission to post some of his excellent photographs here and to James’ mum for requesting permission! Particular thanks to Pupil Support Assistant Mrs Sally Nowell who has supported and accompanied our teams over many years. Mrs Nowell is retiring this year and it was especially satisfying for her to witness the children’s accomplishment. A fantastic result for our European stars! Mrs Sally Nowell, Euroquiz aficiando!